Book DescriptionThe fifth thoroughly revised and updated edition of the Encyclopaedia of Chess Openings, Volume C, brings an additional 104 pages of brand new material with games up to 2006. * Ruy Lopez, French, Petroff, King's Gambit, Two Knights', Philidor, Italian, Scotch, etc. 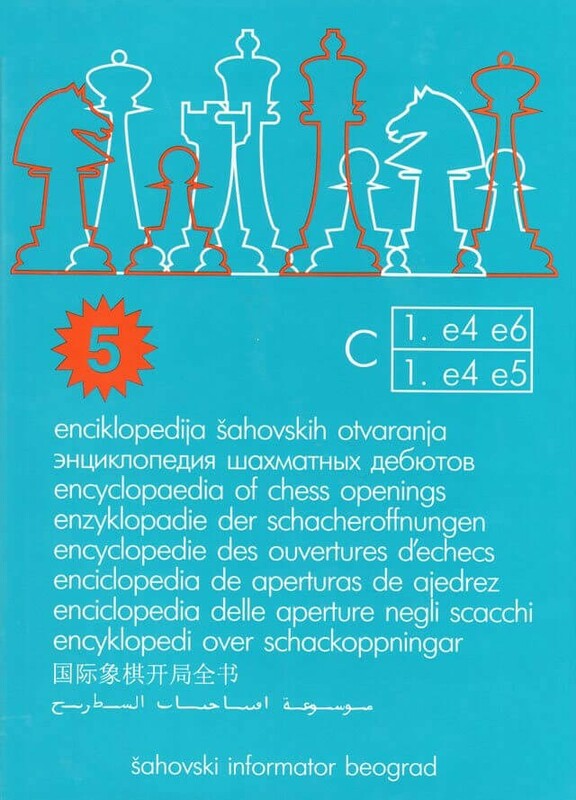 The 5th edition of Encyclopaedia of Chess Openings C is made up mostly of the games, analysis and assessments of leading Grandmasters. The focus is put on games played recently and published in Chess Informant as well as other publications.